I think I have strawberries on my mind these days. I have made 4 of my strawberry cheesecakes (recipe post) in the last week. The most recent cheesecake was made to thank a teacher to thank her for all her hard work. Of course along with that there needs to be a card. I played along with the Retro Sketches challenge again this week. This is the perfect card to go along with your thank you cheesecake Tracey! I'm sure she loved it. 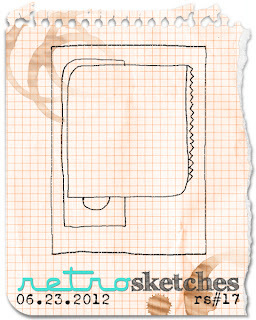 Great take on the sketch, very summery! Mmmm, how did I miss that yummy recipe? Our strawberries are done, but I'll save it for future reference! And your card is a perfect go-with! What great inspiration! This is SO perfectly CAS, Tracey!! Very sweet card, Tracey! Love your take on the sketch! Super card. Funny you should use those strawberries--I have been thinking that I should pull them out, since strawberries seem to be on everyone's mind lately. 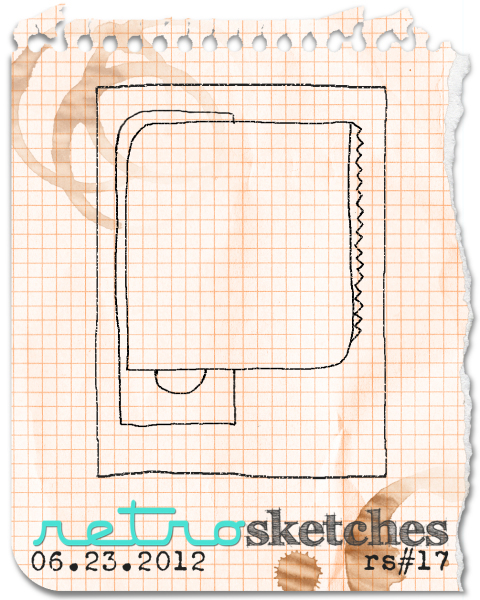 Love this interpretation of the retro sketch for this week. That green paper is the perfect complement to those strawberries. WOW this is wonderful Tracey. Love the happy colours and your interpretation of the sketch is brilliant. Love, love, love those cool, crisp strawberries! 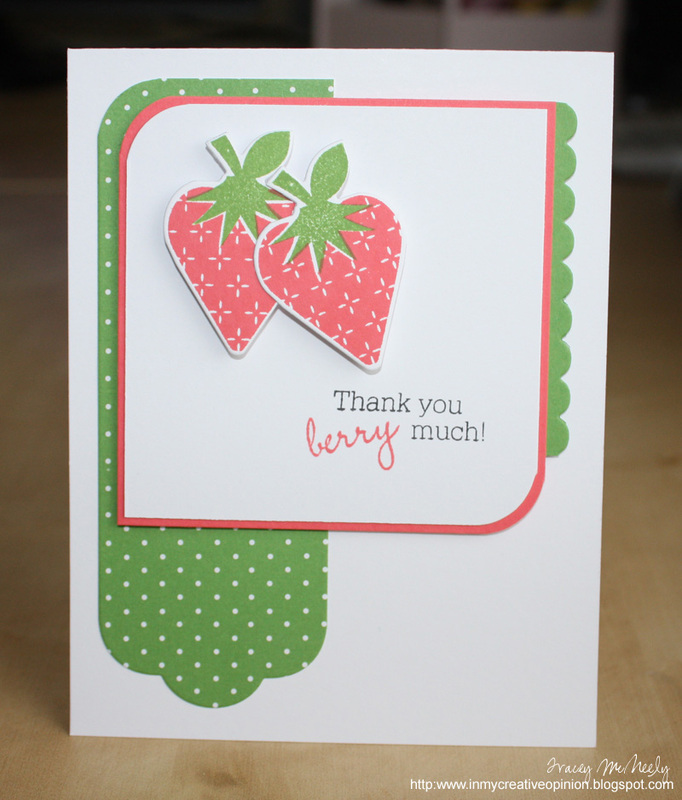 Looks like a perfect card to accompany a strawberry cheese cake. Great take on the sketch with your CAS style . Love it. Hey! I commented on this card yesterday but for some reason it didn't stick. 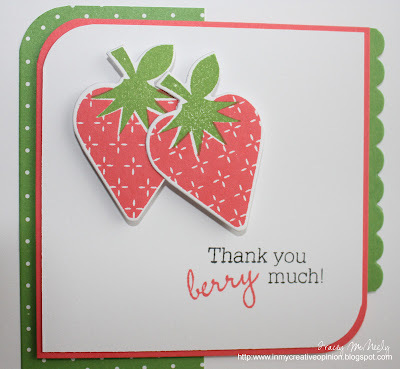 I do love the card--your darling berries have really captured the sketch perfectly with a minimum of colors! As always, a perfect CAS card! And the cheesecake sounds really yummy! I love strawberries too, but just plain. Your card is just too cute and the CAS look.